Precinct 2 staff turned out last Friday morning to help distribute the food. HARRIS COUNTY PCT. 2 – During the current federal government shutdown, veterans and federal employees impacted were able to get food baskets and resource guides at two Food Fairs held at Precinct 2 community centers. Pct. 2 Commissioner Adrian Garcia partnered with the Food Bank to provide drive-thru style support at the Northeast Community Center, and East Harris County Activity Center. Garcia said the event will repeat in the future if necessary. EAST ALDINE – David Hawes, executive director of the East Aldine District, reports that Standard & Poors, the nationwide credit rating service, has upgraded its evaluation of the District. The result of this upgrade is that bonds that the District sells will have a lower interest rate, leaving a larger net cash reserve for use in the ongoing community projects that the District is undertaking. The East Aldine Management District has been given a rating of AA- according to S&P Global Ratings. This is primarily due to: continued expansion and diversification of the district area; a very strong audited sales tax collections through 2017 and debt service coverage (DSC) at 3.5x MADS. The raters view that nationwide sales tax revenue collections have exhibited relatively low volatility with no history of significant volatility at the local level; and the district’s general creditworthiness partially offsets the above credit strengths of the sales tax bond structure. Commissioner Adrian Garcia, left, with Castlewood Civic Club members including President Connie Esparza at last week’s meeting. 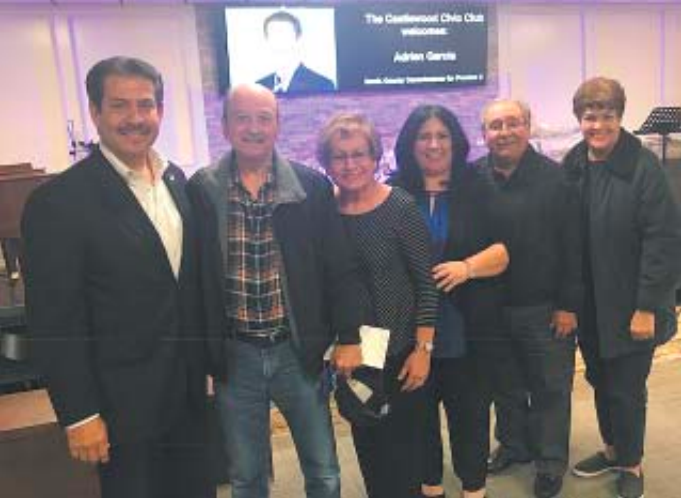 Commissioner Adrian Garcia’s visit to Castlewood at Bethel Community Church last Thursday proved productive and informative. The Commissioner listened attentively to the concerns of its residents such as bayou and ditch cleanup, water drainage from ditches, security issues, excessive gunfire in the area, maintenance of vacant lots and abandoned cars, dumping, problems with septic tanks and its possible conversion and heavy trash pickup. Commissioner Garcia set priorities for the subdivision, first and foremost he said, is the flood mitigation beginning with identifying the proper sheet flow, stripping of the streets in the area, street repair of pot holes and appropriate lighting in the general area. Particular focus is being dedicated to the water drainage coming from Maya Park through Connorvale and possible repurposing of the area off Aldine Westfield on Gault. 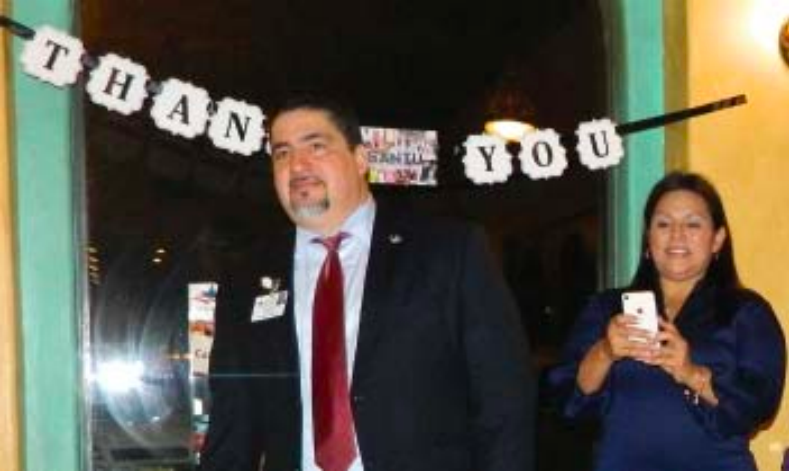 RICHARD CANTU was recently elected to the Harris County School Board. RICHARD CANTU, the Assistant Director for the East Aldine District, was elected in November as a member of the Harris County School Board. To thank all his supporters, he held a Victory reception at Mannie’s Seafood Restaurant last week. Pictured above are Patti Acosta, Connie Esparza, Steve Mead, State Senator Carol Alvarado, Richard Cantu, Art Murillo, and Joyce Wiley, just a few of the attendees at the event.